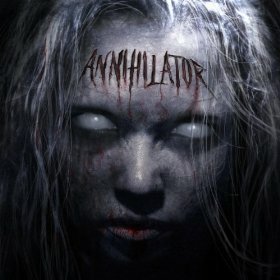 Hall of the Mountain King: Review: Annihilator, "Annihilator"
I’ve been an Annihilator fan since I heard the first strains of album opening instrumental “Crystal Ann” from their 1989 debut Alice in Hell. By the time the second track, “Alison Hell,” was over, I was devoted. The band’s been through some ups and downs over the years, but they always seem to bounce back strong at some point. Don’t read too much into the eponymous title of this record. This is certainly not a reinvention or re-imagining of the band. If you’ve followed Annihilator over the years, nothing on this record is going to surprise you. Guitarist, founder and primary driving force Jeff Waters does pretty much what he’s always done – high energy thrash with a tight barrage of fast riffs, wailing leads and the occasional grooving breakdown to interrupt the pure fury. 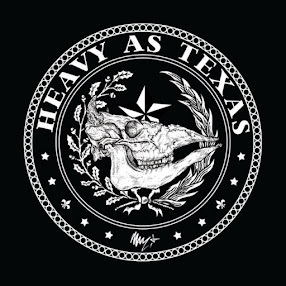 Though Waters dropped the pretense of Annihilator being a full band years ago, he’s joined here by vocalist and guitarist Dave Padden, the longest-running member besides Waters with seven years of service, and drummer Ryan Ahoff. Waters himself handles guitars and bass and, of course, wrote all nine original tunes on the record with the assistance of Padden on two tracks. The record opens with the longest track, “The Trend,” a tirade against all things trendy once the song finally gets started after a too-long buildup. There’s an interesting hard rock vocal delivery on the bridge that’s one of the better things that Padden does here. From there, things move quickly into familiar territory as “Coward” blasts out of the gate with thrashing riffs, slashing leads and a solid breakdown. One of the biggest weaknesses of Annihilator, though, is the same that the band’s last few albums have had (and it’s really a recurring problem throughout their history), and that’s Padden’s vocals. While in the more aggressive mode, Padden sounds similar to most of Annihilator’s singers over the years. When he tries to back off a little, though, they get annoying. They’re bothersome over the machine-gun riffing of “Ambush,” and they’re really weak on “Betrayed,” bringing down one of those circusy riffs that Waters has shown a fondness for over the years. Around the midpoint, Waters unleashes some new twists with a few songs that are a bit out of character for Annihilator. The first is “25 Seconds” which opens with a cool grooving bass and drum lick that has an almost jazzy feel. That lasts for, well, 25 seconds, at which point a screaming metal song breaks out. The bass grovoe returns throughout the song, and I like it better than a lot of the metal parts, though Waters does deliver a cool, spacy tapping lead. Waters continues to show off his bass skills on the opening of “Nowhere to Go,” which drops into a nice, more modern groove. Padden’s vocals, though, have no passion on the verse. He sounds his best, oddly, on the more melodic chorus, but it’s probably a little too commercial for the tastes of most Annihilator fans. One of the better songs on the record is “The Other Side,” which opens with a solid galloping riff, reminiscent of early Metallica. It’s a theme that runs throughout the song, giving brief flashes of Metallica without ever sounding copycat. To give Padden credit where it’s due, I like his delivery on this song as it takes on a more hard rock feel. Annihilator is an interesting record in a lot of ways. There are a few touches here and there that you don’t expect from Waters and Co., but overall it still sounds just like an Annihilator record. It’s not likely to make my top 10 list at the end of the year, but it’s a solid addition to the band’s catalog and worthy of attention for fans.